For anyone thinking about buying a home of their own, a mobile home can be an excellent option, especially if you’re working within a tight budget. Here at Home Nation, we offer the highest quality mobile homes at an affordable price to help families in Indiana and across the country finally own the home of their dreams. If you still have questions or would like more information on buying a mobile home, call Home Nation today at 1-877-50-HOMES. We would be happy to discuss your options and help you design the home of your dreams! The term “mobile home” is outdated, although many people still refer to today’s manufactured homes like single wides and double wides as mobile homes. The difference is that prior to 1976, mobile homes were not built to any particular building code. Now, these homes—technically called manufactured homes—are built to the national Housing and Urban Development (HUD) code. Mobile, or manufactured, homes differ from modular homes in that modular homes are built in accordance with state and county building standards, rather than the national HUD code. However, both types of homes are inspected and are constructed by professional builders, using the same materials as regular “stick-built” homes. Why buy a Mobile Home? There are lots of reasons why you might consider buying a mobile home vs. a traditional stick-built home. One of the greatest benefits of choosing a mobile home such as a single wide or double is their affordability. Because mobile homes are built on an assembly line in a factory, manufacturers can save significantly on the cost of materials by buying in bulk. In turn, those savings are passed onto you, the homebuyer. At the same time, you can rest assured that your home will be built with the same quality of materials as a regular stick-built home, just with a lower price tag. As an added bonus, since your mobile home will be built indoors, it won’t be subjected to the elements such as rain, snow, and wind, which can cause problems with water damage and mold in a traditional house before you even move in. Mobile homes are also typically built much more quickly than traditional homes, so if you’d like to start moving in sooner rather than later, consider buying a manufactured or modular home and open up the next chapter of your life with much fewer hassles. 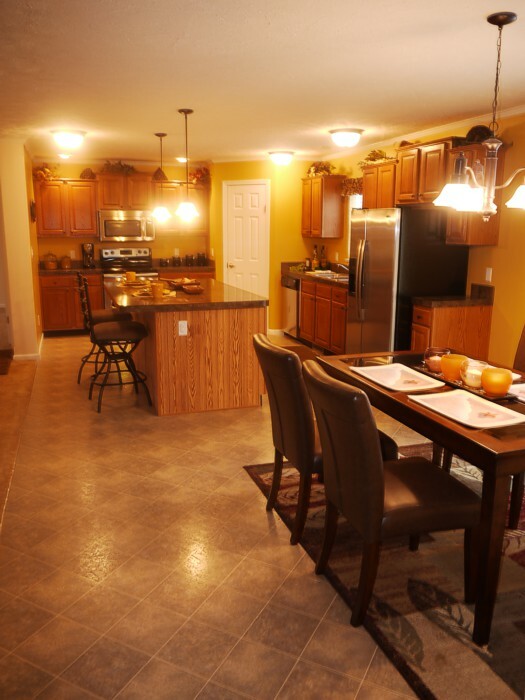 Another reason many people choose to buy a mobile home is that they are extremely customizable. 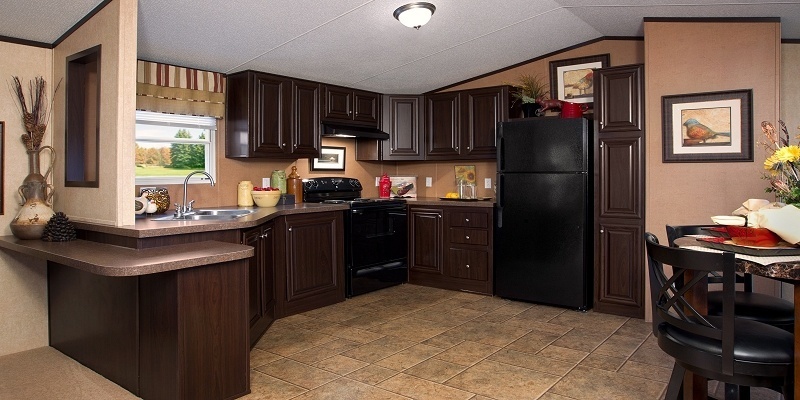 Contrary to popular belief, a mobile home is much more than just a cookie-cutter copy. In fact, you can choose every little detail about your home, right down to the floorplan. At Home Nation, we offer thousands of different floorplan options in both single wides and double wides to suit the needs of a wide range of customers. However, there is one floorplan that seems to stand out among the rest. Our most popular floorplan, The Breeze, sells almost weekly. This model features three bedrooms, two bathrooms, a kitchen, laundry room, and spacious living room. 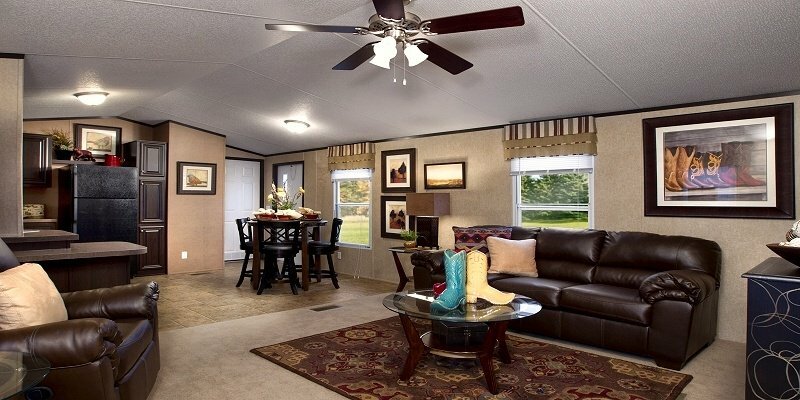 If The Breeze isn’t quite the right model for you, just browse through the single wide or double wide floorplan options on our website, or enter your search criteria on either page to narrow down your search to meet your specific needs. In addition to choosing your floorplan, you can also customize options such as interior and exterior paint, flooring, and extras like high ceilings, a porch, and a fireplace. Need Help with Financing Your Mobile Home? No Problem! Mobile homes are known for being one of the most affordable housing options out there, but most people still do finance their purchase. Whether you’re new to the home-buying process and need some financing tips or you’d like some help finding a bank to finance your loan, Home Nation is dedicated to helping you at every step along the way. To see if you could be eligible for a home loan, just fill out this quick form, or give us a call at 1-877-50-HOMES with any questions you might have. 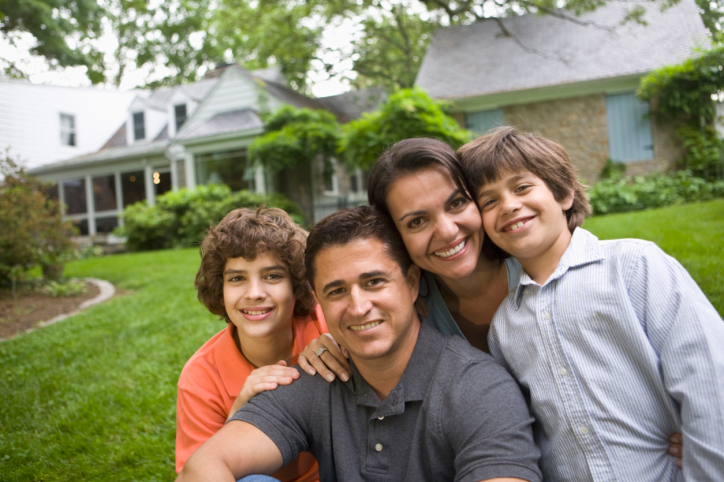 Home Nation is a family-owned business based out of Goshen, Indiana and are dedicated to helping families across the United States find a high-quality home that’s perfectly suited to their needs AND is within their budget. When you shop with Home Nation, you're not just buying a manufactured home—you're also buying our excellent customer service. We can help you design, order, set, and even finance your new home. At the end of the day, we’re on a mission to provide you a home that you absolutely love at an affordable price. We now have five office locations across the country and are continuing to expand every day!